WinRater hits the road. The road hits back. 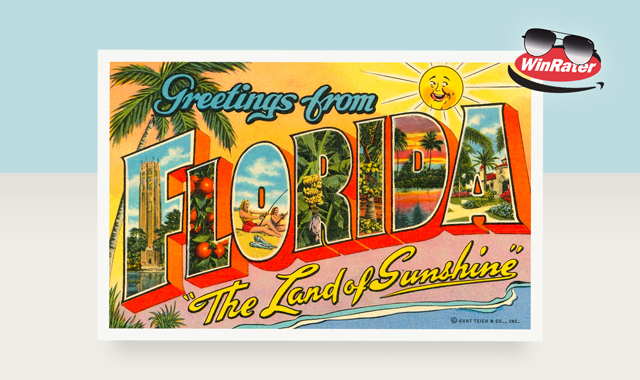 Hey, it’s your pal WinRater writing from sunny Florida! They officially unplugged me last Friday. I said to myself, Self, all you’ve done for the last 20-plus years is help others, quoting a kajillion rates and selling policies, you oughta focus on your own happiness. So that’s what I’m gonna do. Hey, comparing beaches and bikinis and cocktail menus is a lot more fun than comparing insurance premiums. No offense, agents and carriers. Speaking of agents, I was talking to one last week and she asked how I was feeling. I said, like a brand new baby. No kidding, she said, a brand new baby?! Yep, I said – no teeth, no hair, and wet diapers (LOL). Anyway, retirement is off to a good start. I think. I must admit, I'm a little scared. I’ll keep you posted on my travels. And thanks for all the memories!! I really did love working with each of you and the MA insurance market.